Bunmi Olape's photo essay at ChessBase.com! In a recent photo essay, Nigerian chess ace Bunmi Olape wrote about the recent Ashtonwells tournament held in Abraka, within the Delta region of Nigeria. 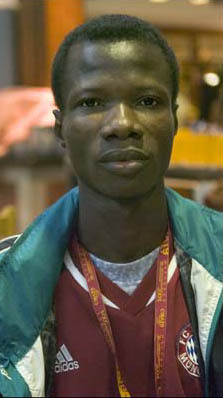 The tournament was an invitational featuring ten players and eventually won by IM Odion Aikhoje. ""The general feeling is that it is only in the western world that tournaments are strictly organised in accordance with all the rules of the world chess body but Ashtonwells have erase such notion and have even taken a giant leap in the combination of chess with tourism." Olape, who played board #1 at the Mallorca Olympiad, has done a great service by writing this beautiful essay. Rarely do we get an intimate peek inside of those chess nations not often covered in the chess media. This is one of those opportunities. Read Olape's "Chess in Nigeria"